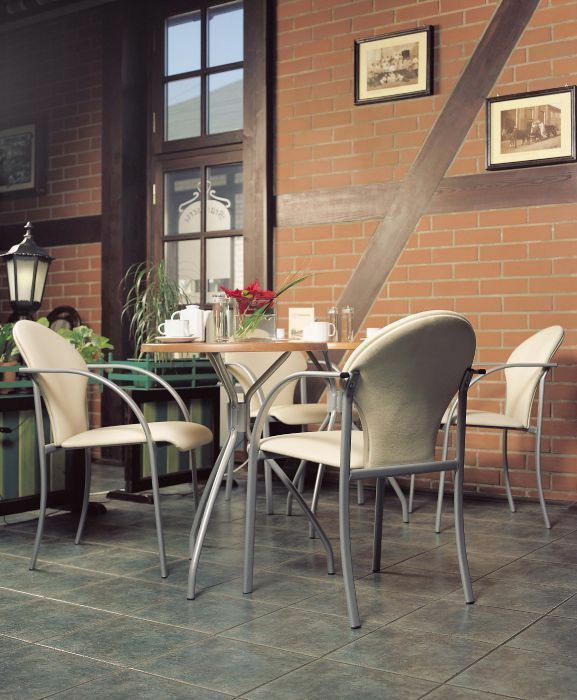 The Visa bistro chair is designed for use in a busy commercial cafe or bar. 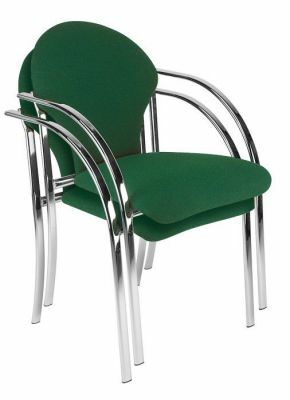 Very comfortable with a strong back support. 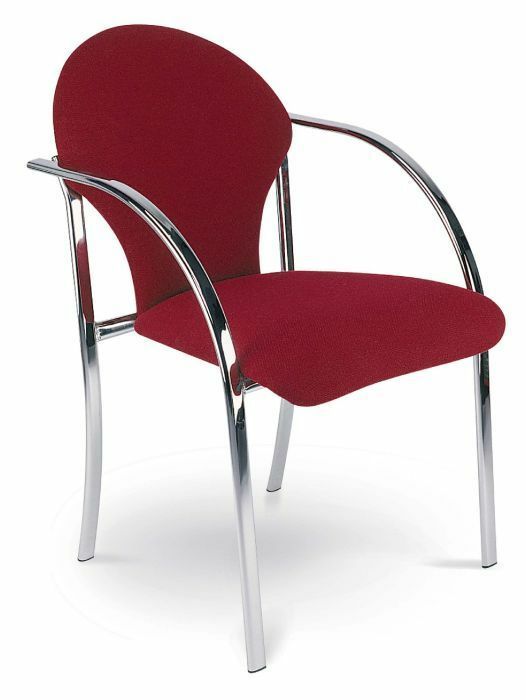 Choose from a range of fabrics, imitation Leather and metal finishes. 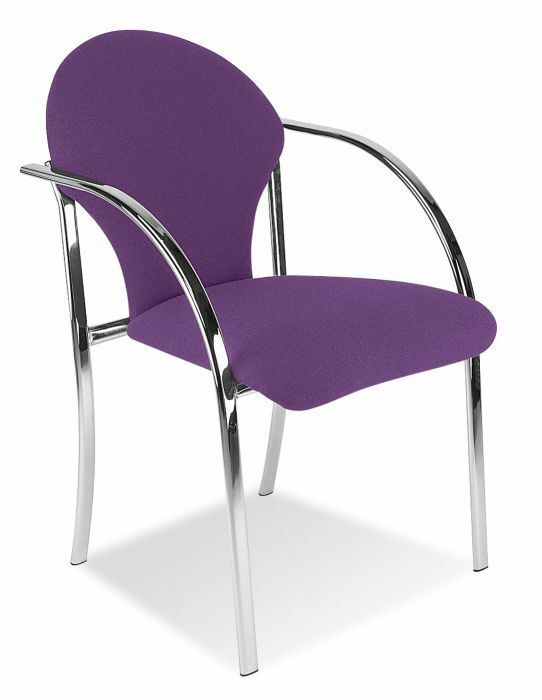 Attractive bistro chairs with a chrome plated or powder coated metal frame and a soft upholstered seat and backrest. Strong metal frame availavle in aluminium, silver or chrome to suit your cafe design. 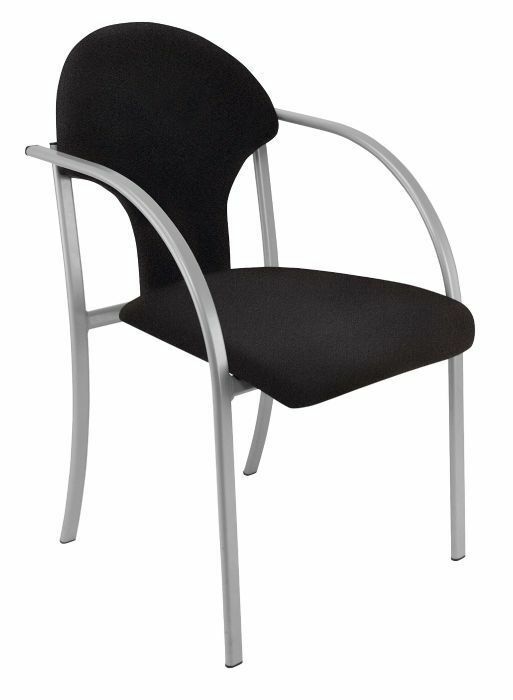 Suitable for use in a wide range of commercial applications.